. "We are and remain confident that Michael will get through this and wake up," manager Sabine Kehm wrote in a statement in the name of Schumacher's family. "There continue to be small signs that give us courage. But we also know that we have to remain patient." 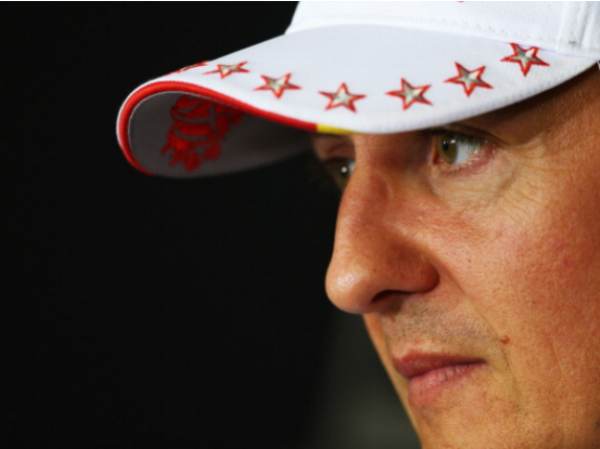 Schumacher has been in coma since suffering major head trauma in a skiing accident in late December. "From the beginning, it was clear that it would be a long and difficult fight," Kehm added. "We are fighting for him together with the team of doctors, who we trust. The duration doesn't play a role for us." Kehm wrote that the Schumacher family is thankful for the sympathy shown to them. Michael Schumacher and his wife Corinna. She added: "One cannot forget that this is a very intimate and fragile matter for Michael's family. And that Michael is a man who kept his private life and his family out of the public limelight and consequently protected it for all those years." The family continues to focus all its attention on Schumacher, Kehm continued. "We are trying to give Michael all the energy that we have. We all believe that this helps Michael and that he will win this fight as well."